The QA1 Endura Racing Series is a loaded slot style of rod end that was introduced in the U.S. by QA1 in 1995. The body is machined with a significant groove going all the way around the interior of the body. The ball is then inserted into the machined slot, and a PTFE/Nylon material is injected. Serving as a liner to keep out dirt and debris out, while also lubricating the rod end. In addition to providing added strength, the injection molded race also won’t pound out like traditional PTFE liners, increasing the longevity of your rod ends. This is simply the best rod end design for most motorsports applications. QA1’s AF Aluminum Series rod ends are female endura rod ends that are designed specifically for performance applications where weight is a concern. With a Nylon/PTFE injection molded race, these rod ends are completely self-sealing and self-lubricating, keeping dirt and debris out. Over 10% lighter than traditional three-piece aluminum rod ends, the AF Series rod ends are the most wear-resistant aluminum design available. For the ultimate in performance rod ends, look no further than QA1’s XM Chromoly Steel Series male rod ends. These heavy duty rod ends are commonly used on 4-link and ladder bars for their strength and durability. XM Series rod ends are completely self-sealing and self-lubricating because of their Nylon/PTFE injection molded race that keeps dirt and debris out. As an economical alternative to chromoly, QA1 is the exclusive provider of carbon steel loaded slot rod ends. QA1’s EXM Carbon Steel Series male rod ends have increased cross-sectional thickness and are completely self-sealing and self-lubricating. The Nylon/PTFE injection molded race won’t pound out like other styles and keeps dirt and debris out for excellent performance. QA1’s AM Aluminum Series rod ends are male rod ends that are designed specifically for performance applications where weight is a concern. With a Nylon/PTFE injection molded race, these rod ends are completely self-sealing and self-lubricating, keeping dirt and debris out. Over 10% lighter than traditional three-piece aluminum rod ends, the AM Series rod ends are the most wear-resistant aluminum design available. For the ultimate in performance rod ends, look no further than QA1’s XF Chromoly Steel Series female rod ends. 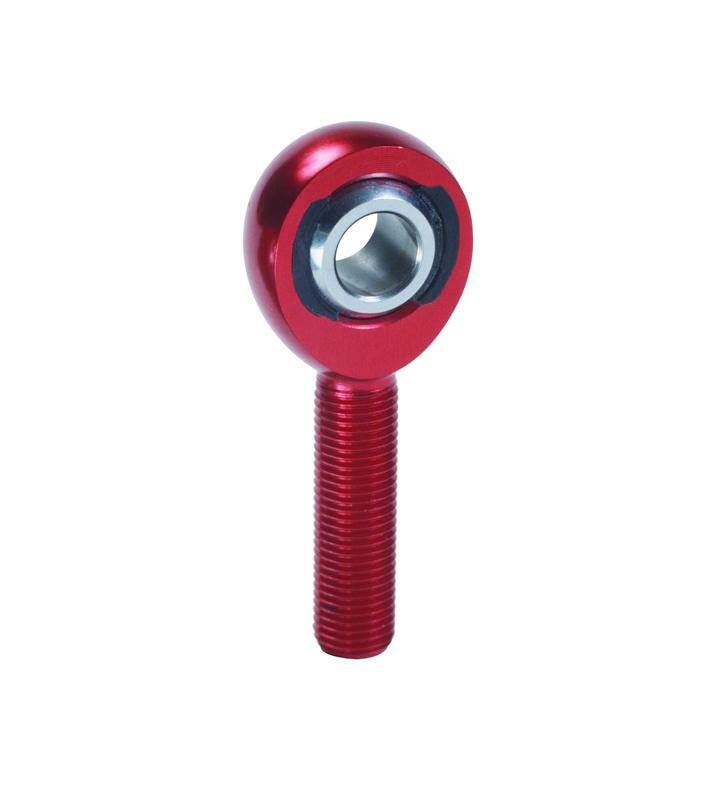 These heavy duty rod ends are commonly used on 4-link and ladder bars for their strength and durability. XF Series female rod ends are completely self-sealing and self-lubricating because of their Nylon/PTFE injection molded race that keeps dirt and debris out. As an economical alternative to chromoly, QA1 is the exclusive provider of carbon steel loaded slot rod ends. QA1’s EXF Carbon Steel Series female rod ends have increased cross-sectional thickness and are completely self-sealing and self-lubricating. The Nylon/PTFE injection molded race won’t pound out like other styles and keeps dirt and debris out for excellent performance.